If you’ve made the decision to operate a laser die cutting machine in-house, there are a number of performance conditions and maintenance issues unique to laser machines. Here are some items you must consider. 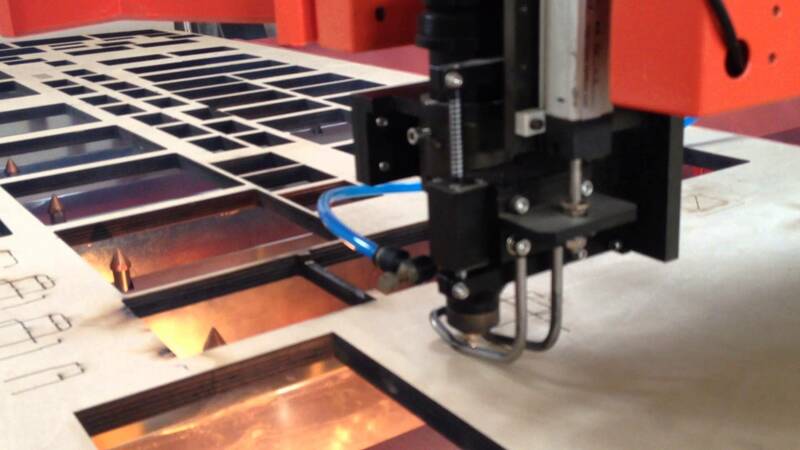 A die board laser cutting machine uses hot burning light instead of hard sawing blade or metal blade. As a result, your materials are going to react differently, and the by-product from the runs (smoke, particulates) require different installation requirements and ventilation. A climate-controlled environment with low humidity is best for optimum laser stability. Lasers like to stay in an ambient temperature, because unlike metal tooling, the laser has some high-tech components inside the laser cavity that are more sensitivity to heat. We installed a similar system in a much more open facility where the ambient temperature can reach over 100 degrees during the summer, and the system is performing without failures. Laser operation can become intermittent in temperatures above 100 degrees and catastrophic when the cooling fluid temperature is at or below the dew point of the air. The environment of the room should determine where the equipment will go, and what types of ventilation or humidity controls will be required for proper functionality. 2. Large space is needed. Laser machines typically utilize an external air-water chiller, which will have to be placed near the machine. The chiller unit will throw heat into the surrounding area, so you’ll need to consider exhausting hot air out of the building; hard-piping the plumbing for the unit; proper-sized water lines; and appropriate clearance around the chiller for functionality stability. For slug collection, a laser machine may also require a slug collection drum. You’ll need ducting from the machine to the drum; from the drum to the blower; and from the blower to the outside. If the exhaust run to the outside is quite long, an additional assist blower may be needed. Lasers follow a classification system to indicate the level of potential hazard. Class 1 levels of radiation are not considered hazardous. Many laser converting machines use a Class 4 laser that is guarded and interlocked to achieve Class 1 rating. They are self-contained, and no personal protective equipment is required. Operators don’t need safety glasses or special clothing. Die board laser cutting machine doesn’t require a safety officer for systems with a Class 1 system, but to be on the safe side, designate one team member to understand the risks and educate the rest of the employees on the risks of laser operation. Simple Configuration of Yisong Auto Die Sawing Machine. < How to Choose? Flatbed die or Rotary die?